Welcome to Pen & Sword Ink, where creativity is the mightiest element! 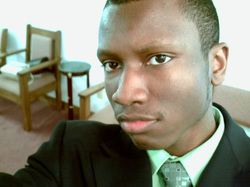 I am Marcus E. T., a journalist and creative writer. As part of my goal to innovate, inform and inspire I have created this site to showcase and hone my writing skills, as well as network with others interested in the craft of storytelling and musical and visual arts. Below you can find my resume of published creative works and I post brief samples of my writing on my "Behind the Scenes" page. I give all credit where credit is due and anything without an accreditation to it within this site is my own original work. I've always had in interest for writing and storytelling since I was 8 years old and by the time I was in middle school I decided that I wanted to go into the entertainment business. I had one narrative poem published in a magazine after I won first place in the only writing contest I had ever entered. I had planned to write a series of science fiction novels at an early age, but like most teenagers I got caught up in "living in the moment" rather than actively pursuing my goals for the future. By the time, I started attending college at North Carolina A&T State University, I resumed with developing my story ideas and polishing my writing skills (not that I had much of a choice, being a Journalism and Mass Communications major). By 2010, I graduated with my degree in JOMC with highest honors and I decided that working as just a journalist wasn't where my full passion lied, but as long as I could still write creatively I would continue to pursue my goals through any medium. I am now bringing my voice/perspective into not only journalism and novels, but screenplays and comic script writing as well. I've edited and written songs, news articles, opinion pieces, human interest stories, short fictional stories, poems, full comic scripts, and screenplays. I now have one flash fiction anthology published and I have other books in the works! I don't feel like I am a master of my craft in any sense, and so I welcome the world to join me in my journey to become one of the most notarized writers of all time! When you shoot for the stars, you know you've truly made it to the top when you've finally reached your goals, and even if you fall short, you can still keep your head above the clouds. Feel free to contact me with questions, comments and suggestions!